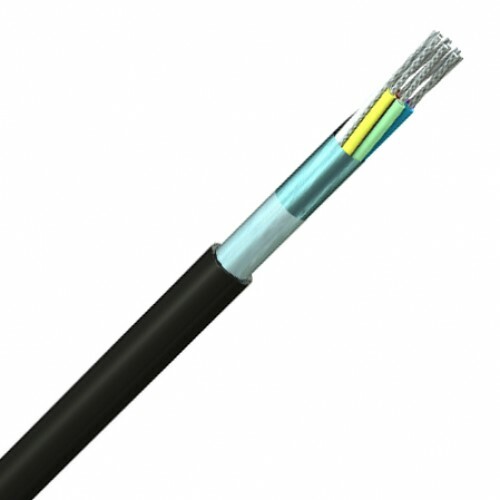 Manufactured solely for military use, now these cables are widely used within industry. With compact sizing, high working voltage and a large range of sizes to suit most applications. A robust and economical choice that also can come with oversheathed or armoured for duct installation or direct burial. These cables should not be used as mains connection cables. Applications include data processing, information transfer, process control and security as well as many industrial applications. 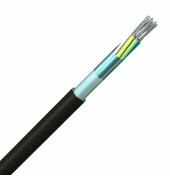 Unscreened type 'A' has fine tinned copper wire strands, colour coded PVC insulation, cores twisted together, PVC outer sheath. Screened type 'C' has an overall polyester tape with tinned copper wire braid screen. Screened type 'S' has an overall aluminium/polyester foil screen and tinned copper drain wire. Individually Screened type 'D' has a tinned copper wire braid screen around each core. Duct grade versions have a heavy-duty black LDPE sheath over the standard PVC sheath. Type ‘R’ uses 37 x 0.315mm stranding (2.9mm2) and has a overall tinned copper wire braid like type C.
Normally packed on 100m, 500m, or 1000m spools, cable can also be cut to length when required.